[Collab] I haven’t visited Liverpool for many years, in fact, I think the last time I did, we didn’t visit the city centre at all. Instead, I was dragged around Anfield stadium on a sadly misjudged date day with my husband. There are a huge variety of attractions, restaurants and hotels in Liverpool. So many in fact that when the opportunity came up to spend some time simply exploring I jumped at the chance. 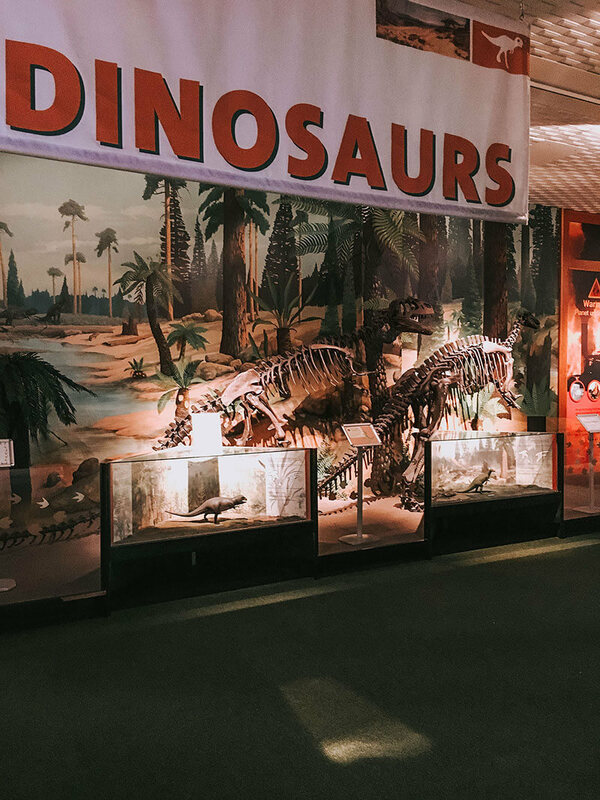 I’m a planner at heart so the idea of just wandering was pretty alien to me, so I will admit I cheated slightly and did some initial research on potential places to visit. Bold Street is a place I had heard was a foodie paradise and although we visited on a Sunday morning the place was buzzing with activity, especially in the coffee bars. In an effort to avoid the lunchtime rush we headed to Koop for more of a brunch than a lunch. 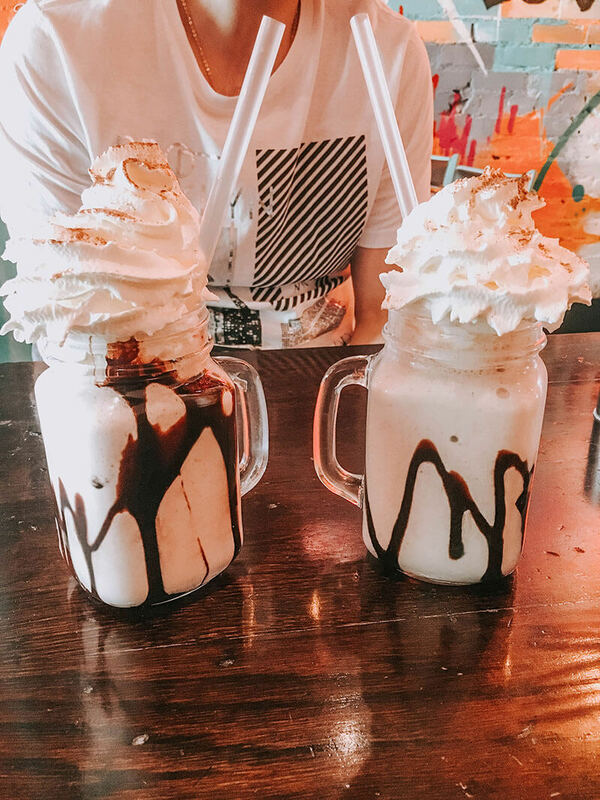 We started with shakes. Considering the size of these I thought they were great value. I went with the Koop one, which was banana and Ferrero Rocher. I tried not to think of the calories as I enjoyed each and every drop. Although we were in a “chicken shop” my husband was adamant he was having a burger. Fair enough I thought and when it arrived I was very jealous! It was HUGE, I had no idea how he was going to eat it let alone finish it, but finish it he did! 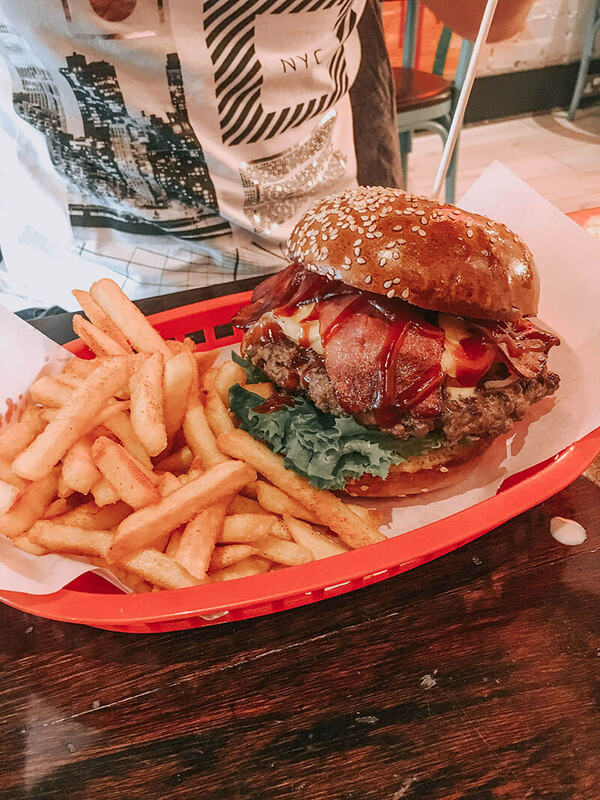 It’s not often you’re presented with such a photo worthy burger but this was one of those occasions, I mean, just LOOK at it! I haven’t had chicken and waffles since our trip to America last year, so when I saw it was an option I went with the classic version with maple syrup. 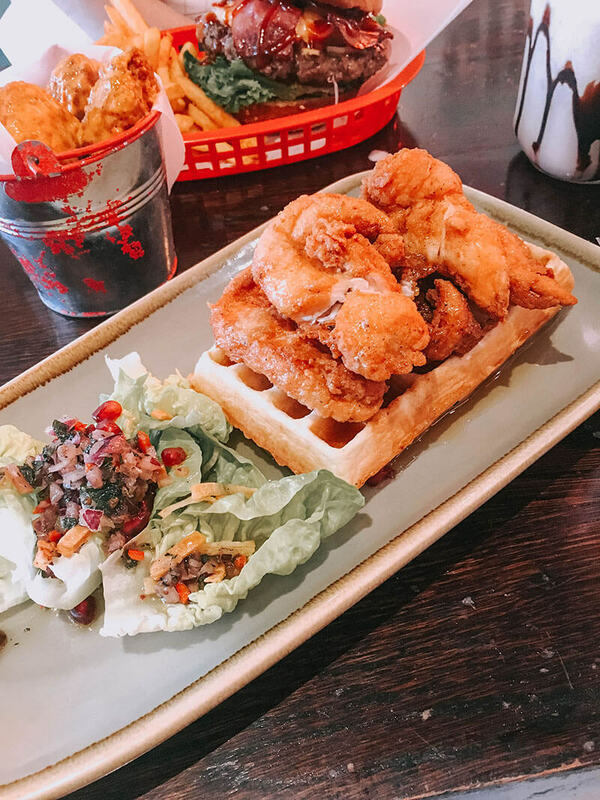 I wasn’t mad keen on the syrup, but the chicken was crispy and not overly greasy which made it very light and enjoyable. Probably a good thing since the waffle was all lovely gooey stodgy goodness, just as it should be. The surprise here was the side salad. Usually, this is just a few sad looking leaves with dressing, but this one was different. The dressing was zingy and the pomegranate seeds made it feel fresh and different. We also ordered a portion of 5 boneless buffalo wings with koop sauce to try. We definately got more than 5 and the sauce was just the right level of hot for me. The “bites” themselves were a little chewy and overdone though, which was a shame. We really enjoyed our experience here and would happily return. Full and happy we waddled off to explore. My parents had visited The World Museum to see the terracotta warriors last year and said it was worth a visit. 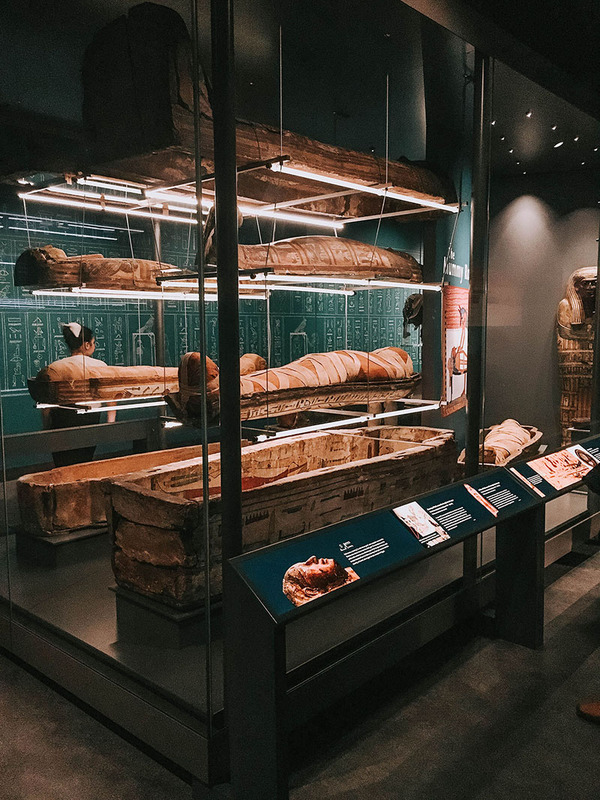 I’m always up for visiting a museum and considering it ideal “revenge” for the stadium tour on our last visit to Liverpool I dragged my husband inside. It was smaller than I expected but they have crammed so much in. I was disappointed to find the aquarium closed but at least I have an excuse to return. Entry is free and it appeared to be a very popular weekend destination for parents with young children. Something I will have to remember if we bring Spud at some point. 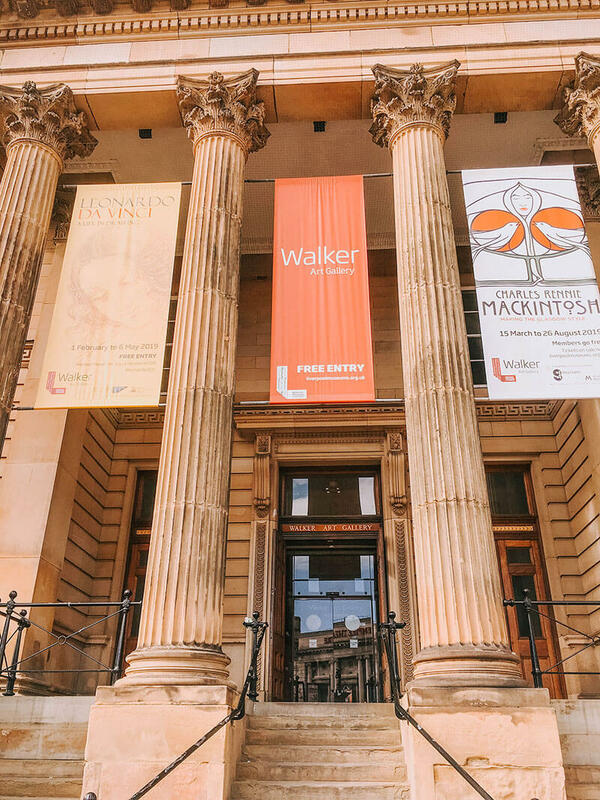 Next door, and also free to enter, is the Walker Art Gallery. I don’t think this gets the same footfall as the museum but as they had a visiting exhibition of Da Vinci sketches, it was busier in some areas than expected. They have some very interesting art here, including a replica of the Mona Lisa. Ok so it’s not the original but you can get pretty close to this one to look at it without being mobbed by tourists so it’s worth a look up close. 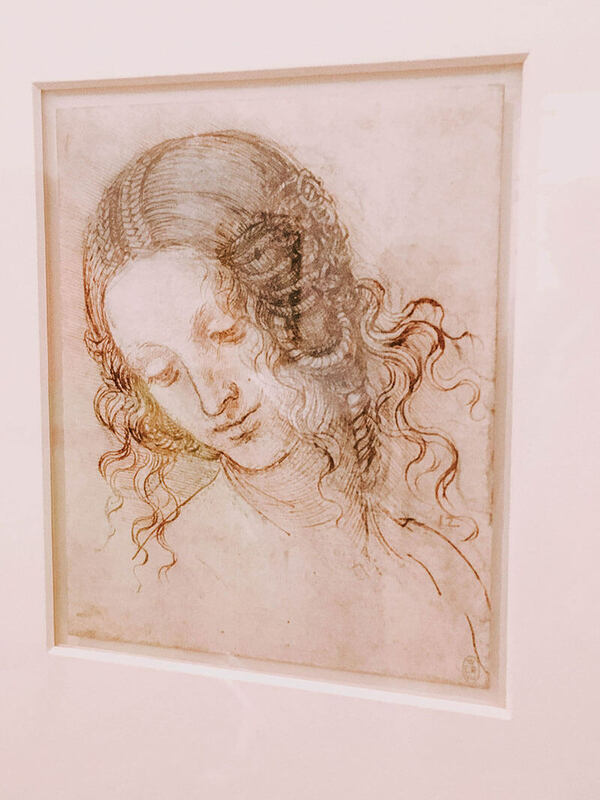 I enjoyed looking at the Da Vinci sketches as well but on noticing my husband’s glased expression I thought it best we sought out some entertainment more up his ally. 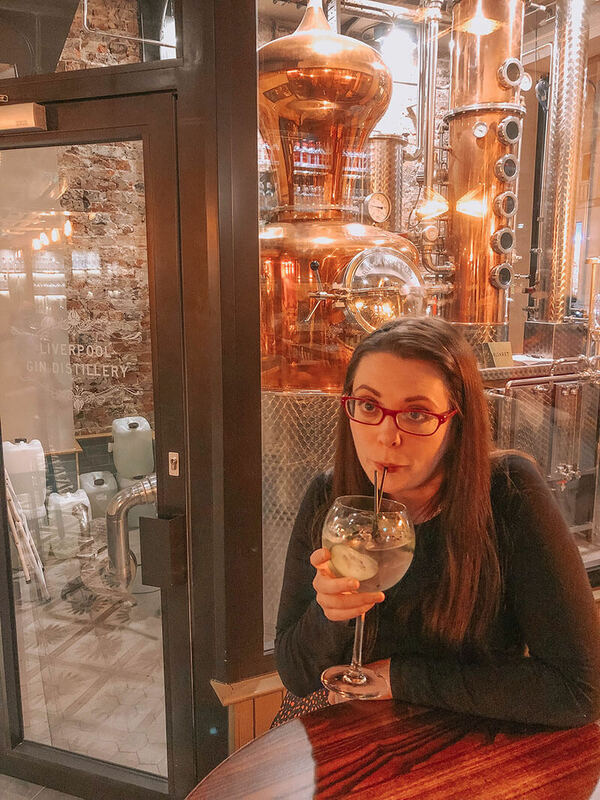 We love The Alchemist in Manchester, so when we happened to walk past the Liverpool branch we decided to pop in. 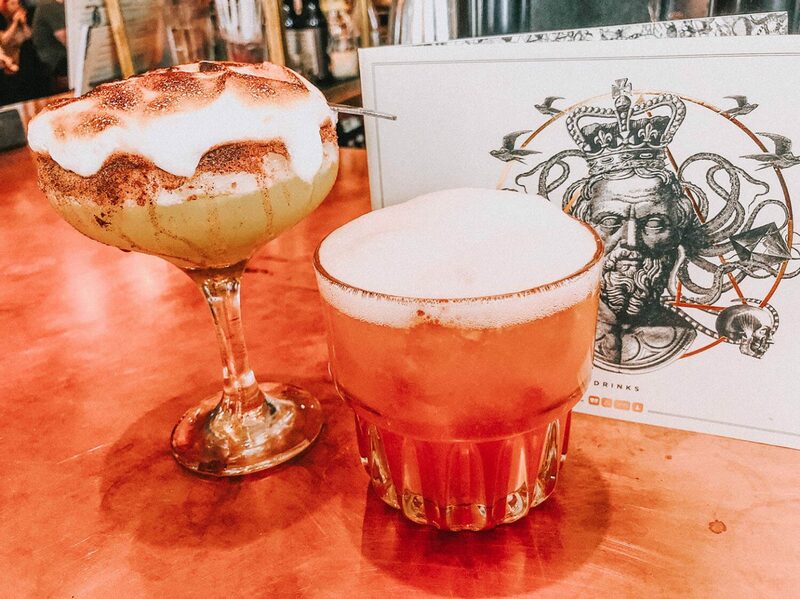 The Alchemist do some of the best cocktails. They aren’t stupidly priced for a city location either, only a few quid more than the sickly sweet ones you’d get at a chain restaurant/bar, that are unlikely to even get you even slightly tipsy. Yes some are a little “gimmicky” with the dry ice and the theatrics, but that’s all part of the fun and my key lime pie cocktail tasted just as good as it looked. I spent a while trying to find somewhere nice for dinner. This was our date day afterall and it isn’t often we find ourselves free of the 7 month old currently enjoying a day with the grandparents. 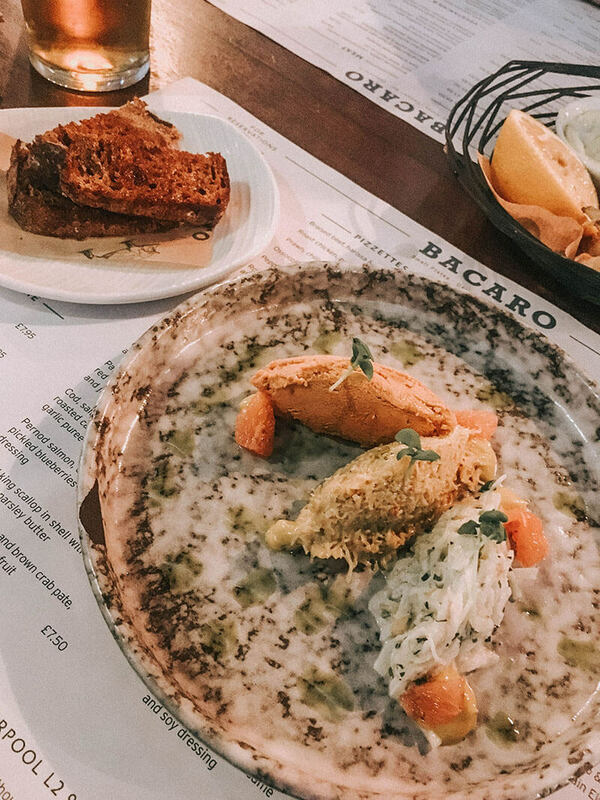 I did consider taking a risk on somewhere new and untested but after some research I decided to go with somewhere well established on the Liverpool food scene, Bacaro. I’m glad I booked because although it was 5pm on a Sunday night the place was RAMMED! 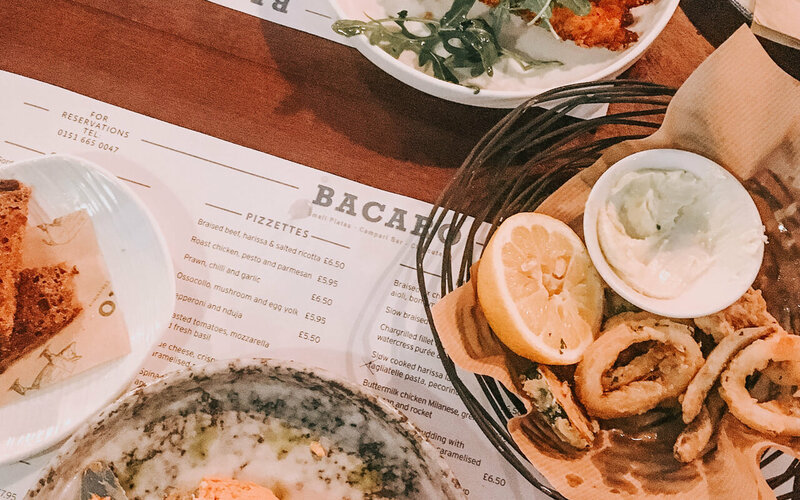 Food is tapas style and a mixture of Mediterranean flavours. We were advised that 5-7 dishes between us would be a good selection. 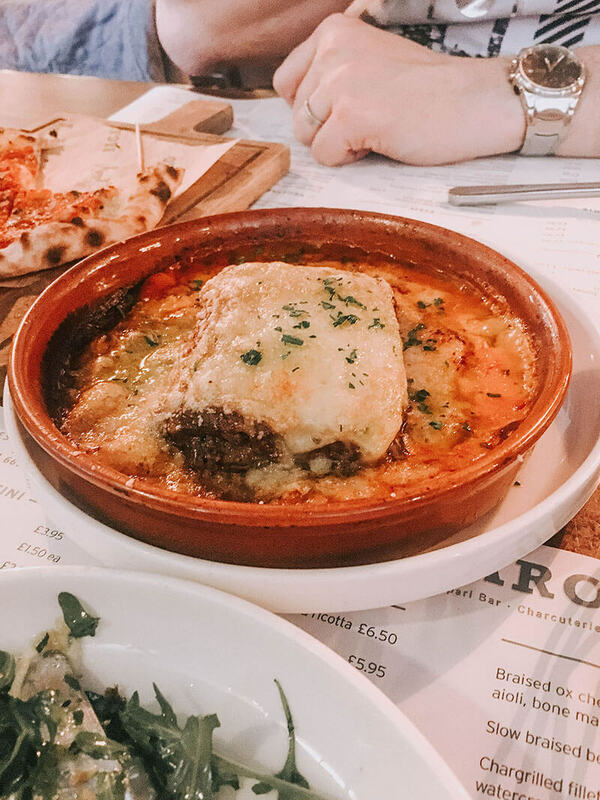 I was initially gutted to see that the nduja mac and cheese I had seen online was no longer on the menu and when ordering they were sold out of a few dishes we fancied as well. Apparently, they hadn’t expected it to be so busy either! 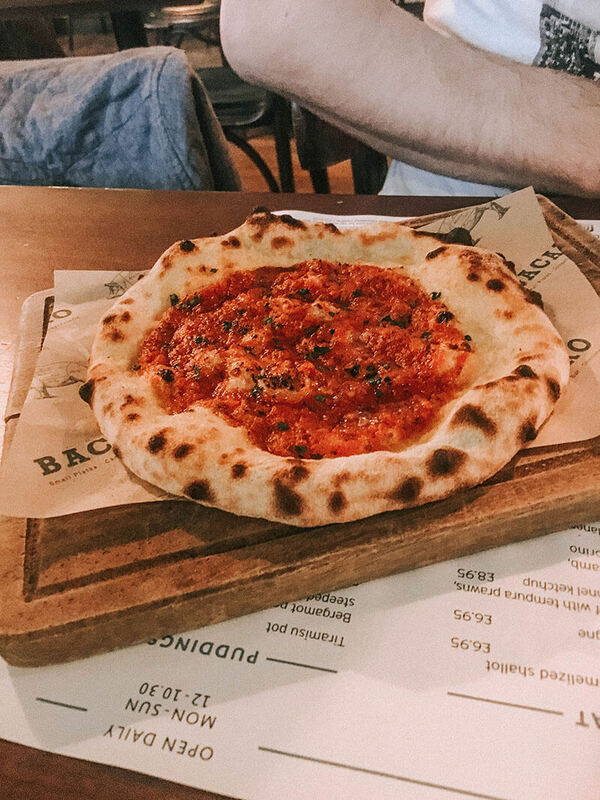 It was great having what was essentially a “mini pizza” as it wasn’t too filling. We joked it looked like a domino’s garlic bread, but obviously it tasted much better! 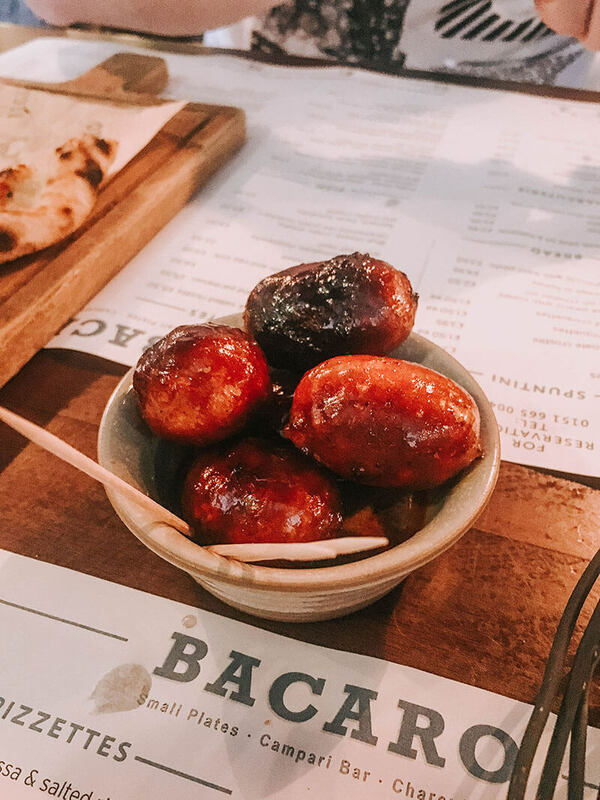 The chorizo in honey was great and we picked at them while waiting on the other items. Like most tapas places the food arrives as it’s ready and things started arriving quickly. There was no sense of urgency for us to hurry and finish after the food arrived however, so we settled into a relaxing evening together. We couldn’t agree on a fish dish as we are both quite picky so we had one each. 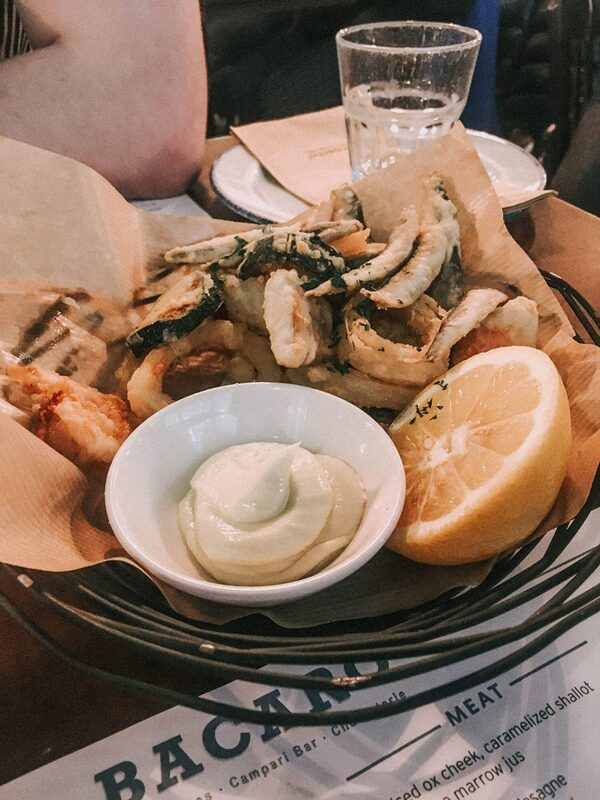 The Fritto Misto was light and crispy and the crab was tasty and very fresh. I loved the fruity bread it came with. I wouldn’t have thought to pair it with crab, but along with the sweet pear it was served with they went so well together. For the meat course we ordered the Lasagne and a Chicken Milanese, which was devoured before I had chance to get a good photo! 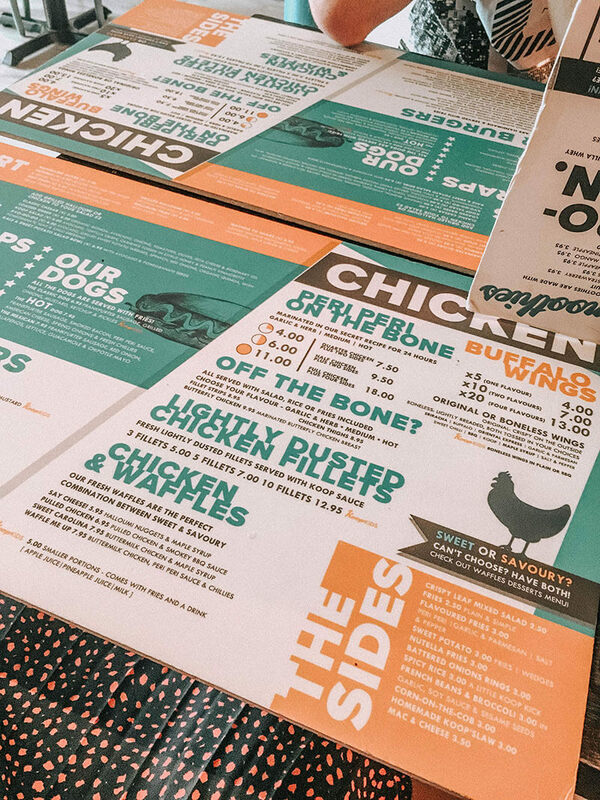 I loved the chicken, which is probably why it went so quick. I wasn’t so keen on the lasagne, the braised beef just wasn’t a pleasant taste to me. You would think we’d have been stuffed by then but we both decided we had room for coffee and dessert. 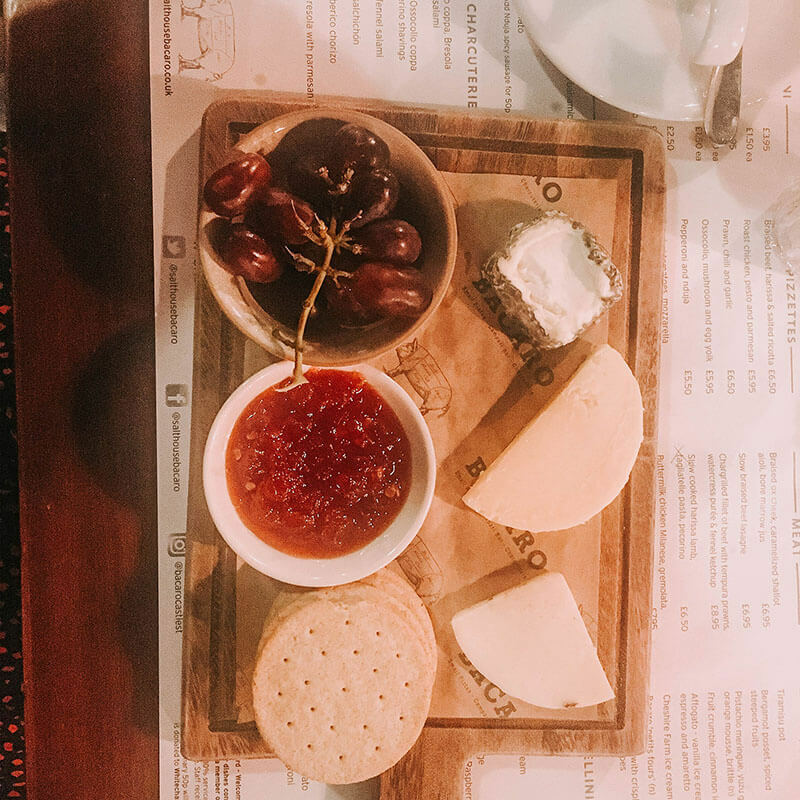 It’s pretty impossible for me to see a cheeseboard on the menu and not order it, I LIVE for cheese. This one was a good selection and just enough. The chilli jam was fantastic, the only disappointment was the grapes, a few were soggy and clearly on their last legs. 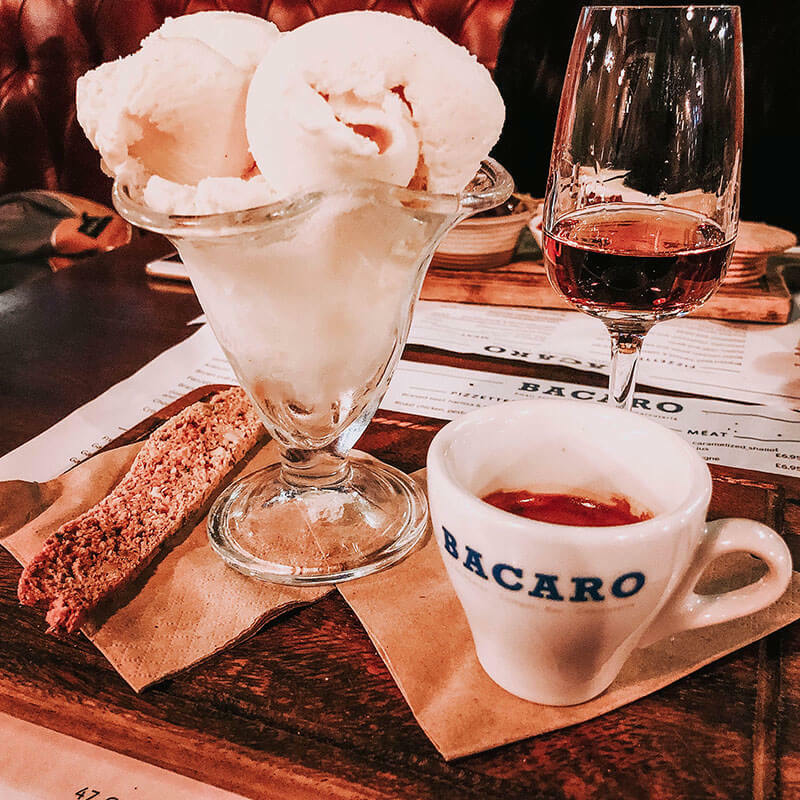 My husband always orders the Affogato when it’s an option and I’m told this was a good version, especially with the addition of the biscuit on the side, rather than crumbled over the ice cream, which seems to be the norm. Overall, a lovely relaxing meal and just what we needed. 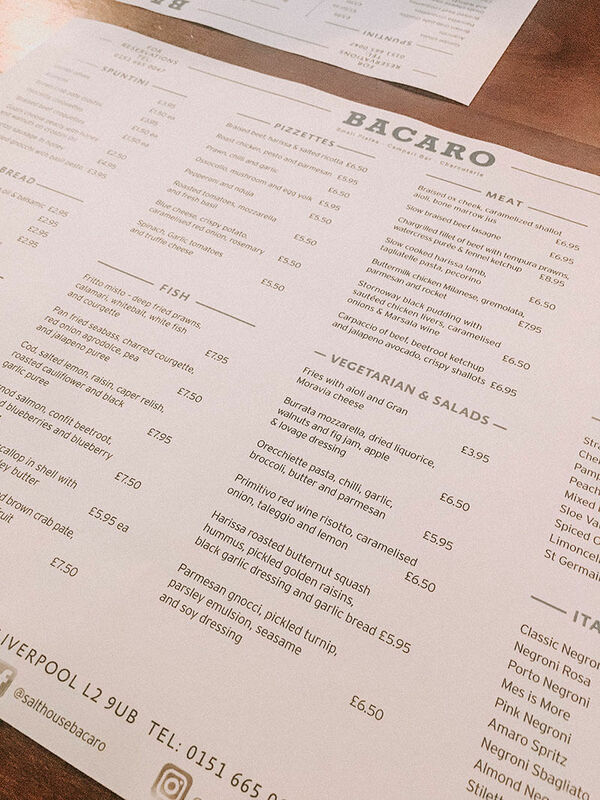 The Liverpool Gin Distillery was just across the road from Bacaro. So with time to kill before our train home we decided to have a final drink there. I’m the gin drinker but luckily they also have a good selection of vodka and beers for the non-Gin drinker in your life. I was intrigued by the Lemongrass and Ginger Gin so I gave that a try with the recommended Cucumber tonic with chilli and cucumber garnish. I was surprised at how cheap the drinks were, The gin and a beer came to less than £9, which considering the premium tonic and the garnish was a bargain in my eyes. It’s also a great little place to sit and relax, we took up prime position to admire Margaret, one of their copper stills. 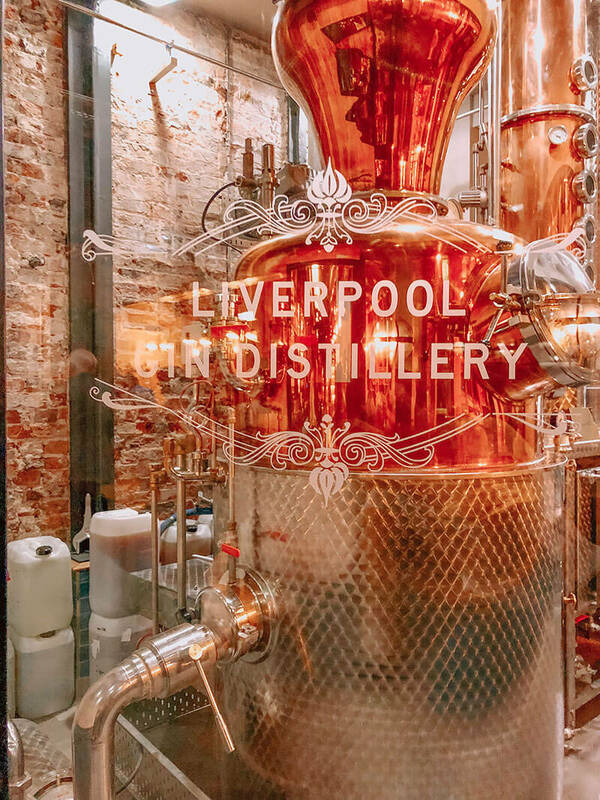 I’ll be honest, I’ve never heard of Liverpool Gin, I know, call myself a gin lover! But it really was a very nice flavour, the warming sensation from the chilli garnish was lovely. Erm YES PLEASE, that’s something to add to the “todo” list I think! 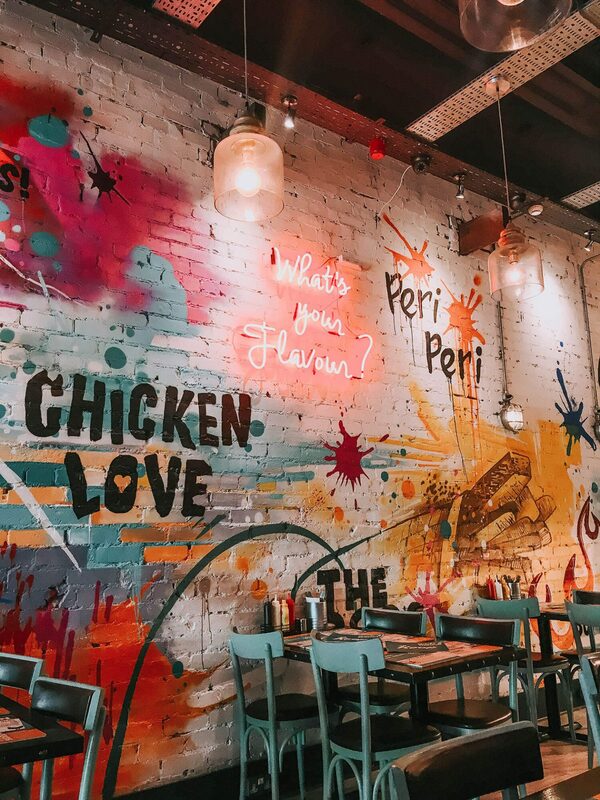 What are your favourite places to visit in Liverpool? I would love to hear your recommendations for next time! [Collaboration post] The spending money was gifted by Hotels.com, but all views are my own.